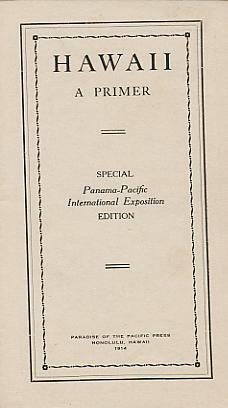 To promote tourism, Hawaii hosts a pavilion at the Panama Pacific World Exposition in San Francisco. Celebrating the construction of the Panama Canal, the Exposition draws 17 million visitors during seven months. 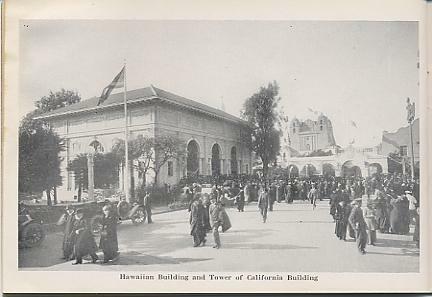 The Hawaiian Pavilion, promoted by the Territory of Hawaii, becomes a public success and numerous people see the hula dancers and hear the steel guitar players. 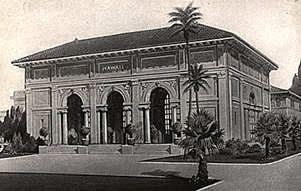 Four photographs of the Hawaiian Pavilion at the 1915 Panama Pacific World Exhibition in San Francisco. One of the hula music and dance performance groups at the 1915 Pan Pacific Expo. The finest Hawaiian musicians of the period are brought in to perform, and play several times a day, as well as on a special "Hawaii Day". 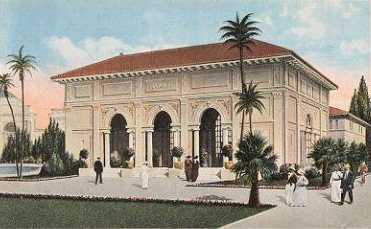 Hawaiian companies are a featured attraction at the large Horticultural Palace. The "house band" is Keoki E. Awai's Royal Hawaiian Quartet. 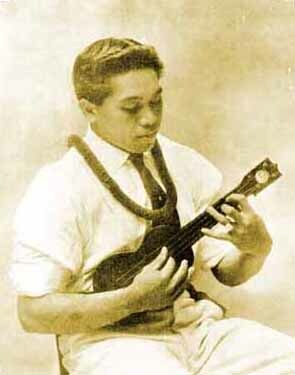 George (Keoki) E. K. Awai playing Uke, 1915.
at the Panama-Pacific International Exposition, San Franciso, 1915. 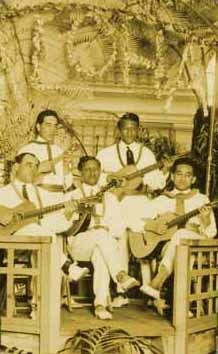 Standing (left to right): Ben Zablan (8 string ukulele), Bill Kaina (ukulele), and Henry Komomua (guitar). Special guest guitar stars are Joseph Kekuku, Frank Ferera, and Pale K. Lua. Pale K. Lua playing Hawaiian steel guitar. 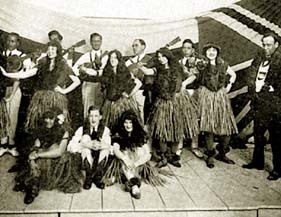 (Lua was a member of Irene West's Royal Hawaiians, and this Hawaiian show group toured the U.S.A. in about 1910, and also appeared in Canada and Europe. After a notable recording career, Lua died in New York during the 1920s). Henry Kailimai (center) Quintette Club performing at the 1915 Expo. Vierra's Hawaiians, led by Albert Vierra, is a featured group performing at the Hawaiian Village. The group includes Joseph Fern on steel guitar. 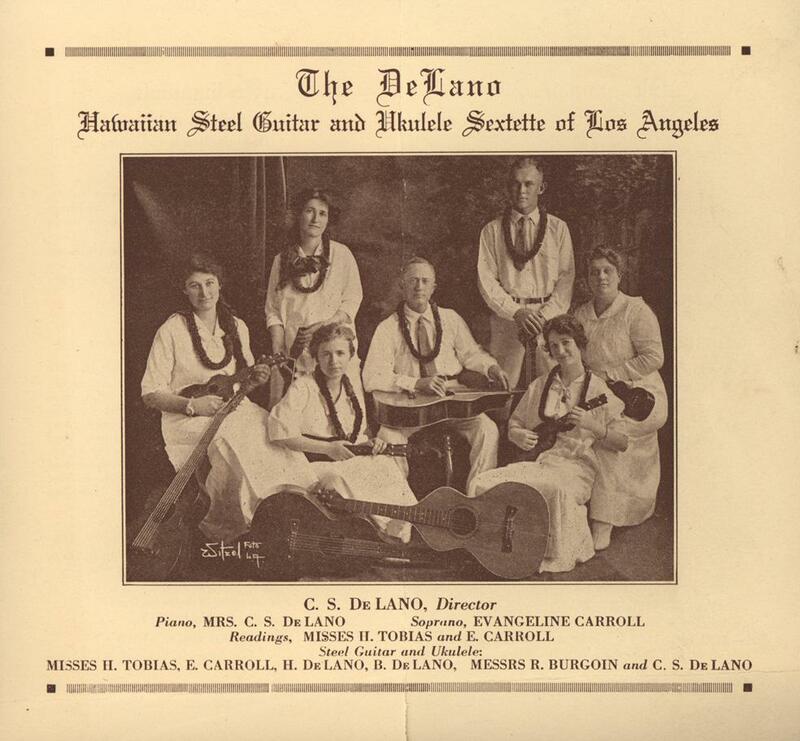 The De Lano Hawaiian Steel Guitar and Ukulele Sextette of Los Angeles is one of the few mainland (that is to say "Haole" or non-Hawaiian) music groups to perform at the Exhibition, and cash in on the mainland Hawaiian music craze immediately thereafter, beginning in 1916. 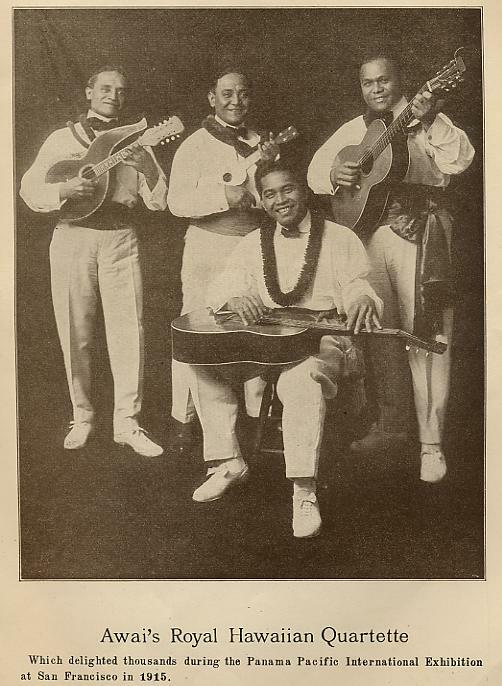 Joseph Kekuku's Hawaiian Quintet is one of the strongest spinoff groups to tour the mainland lyceum (Chatauqua) circuit following the exhibition, based on Kekuku's reputation as having invented the steel guitar playing style. 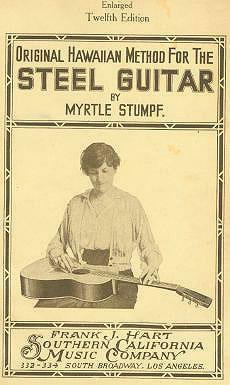 Myrtle Stumpf, a student of Kekuku's, publishes a steel guitar instruction book with the Southern California Music Company in Los Angeles in 1915, followed by other Hawaiian music books over the next four years. 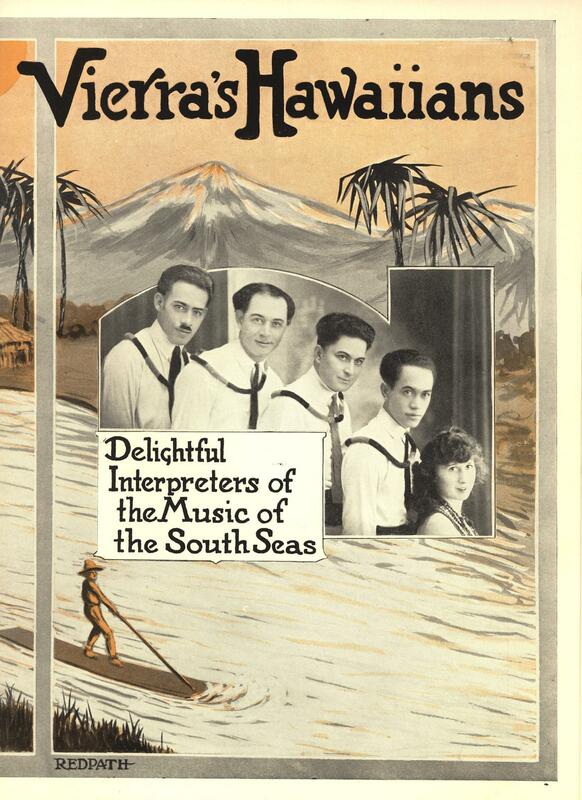 A wave of Hawaiian recordings follows the exhibition, released by Edison, Brunswick, and Victor. 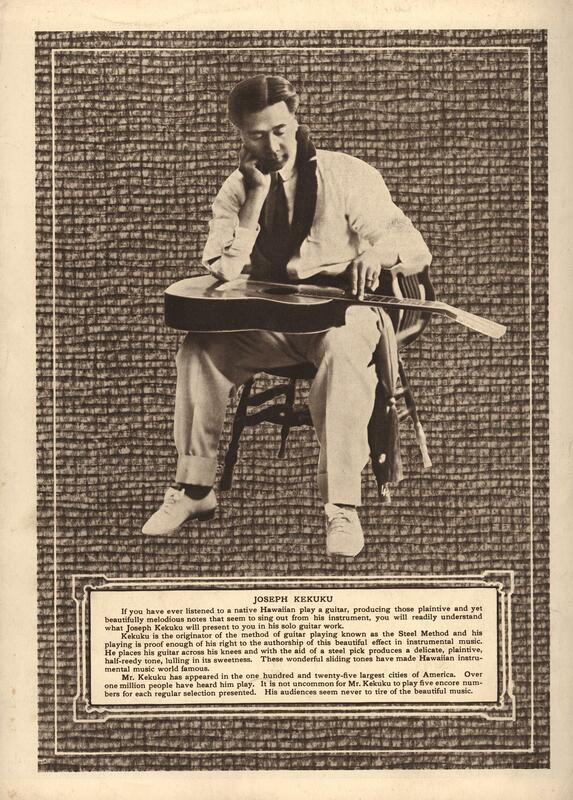 Hawaiian guitars, sheet music with tropical motive, and 78s with steel guitar take America by storm. 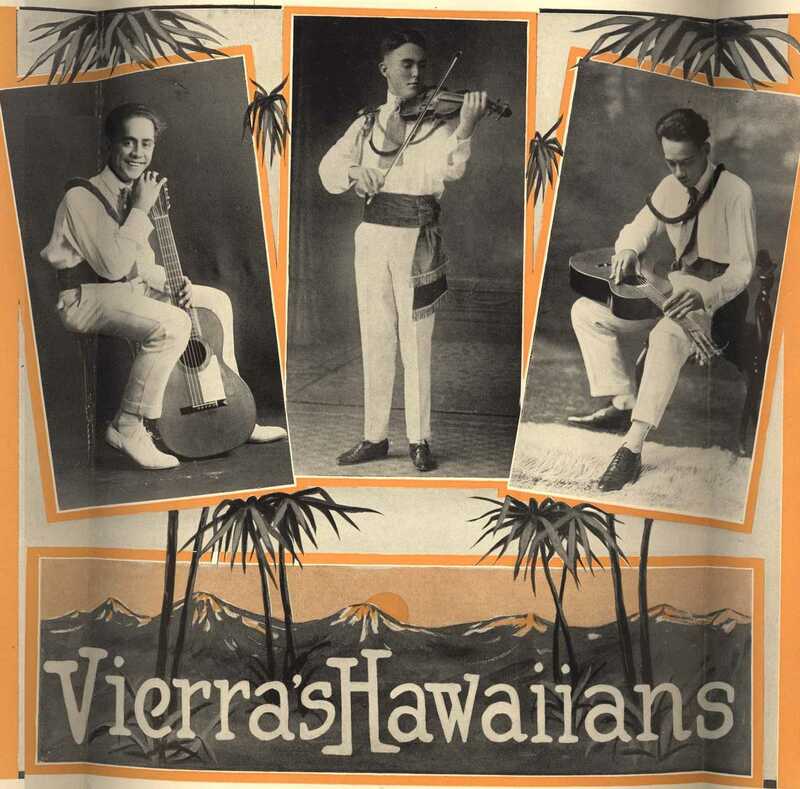 In late 1915 Victor begins issuing Hawaiian discs on a monthly basis, recording such artists as Pale K. Lua and David Kaili (another member of the Irene West Royal Hawaiians), and the Toots Paka Hawaiian Troupe. 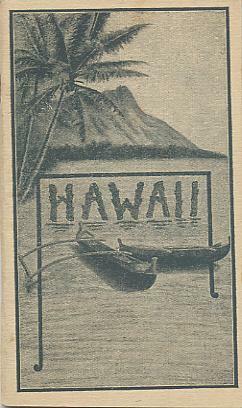 By 1916 all companies record Hawaiian or pseudo-Hawaiian numbers. 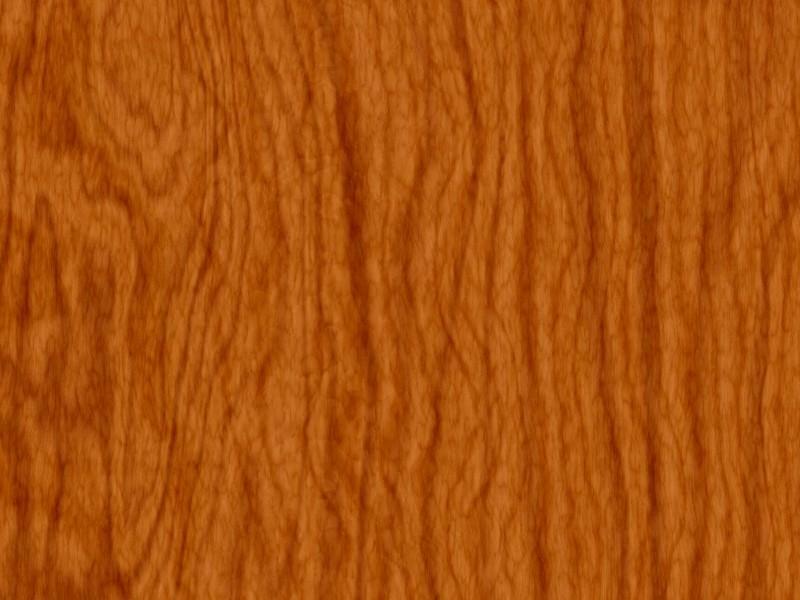 In 1916 Americans buy more recordings of Hawaiian music (146 different recordings) than any other style. 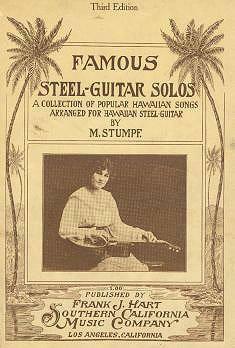 And virtually every guitar sold during this period had accessories to modify it for Hawaiian lap-style playing.